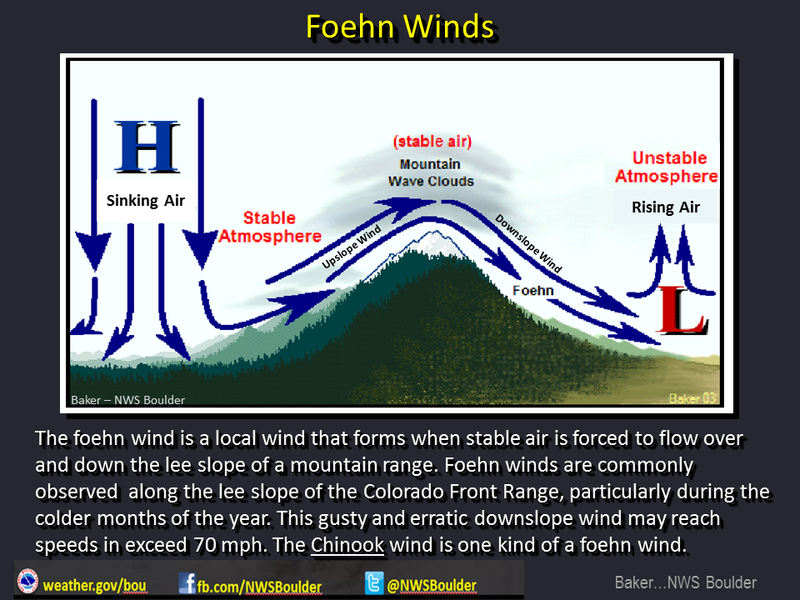 This setup is commonly called “Chinook Wind” as strong winds come up and over the mountains and as they roll down the foothills of Colorado the air compresses and warms. 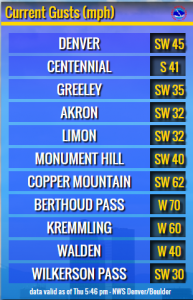 This causes very windy conditions, especially along the foothills and breezy conditions in most other areas along the foothills. “Chinook”, by the way is the inuit word for “snow eater” as these warm winds commonly melt our snow very quickly. 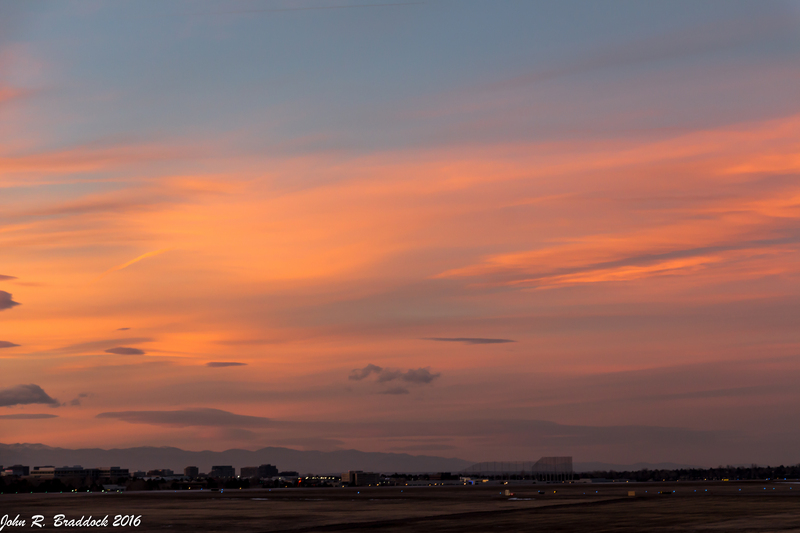 If you’ve been along the front range of Colorado this past week, you’ve probably noticed the amazing sunsets and sunrises we’ve had nearly every day for the week. The mountain wave clouds that have parked over us for the past week are due to the current weather pattern. 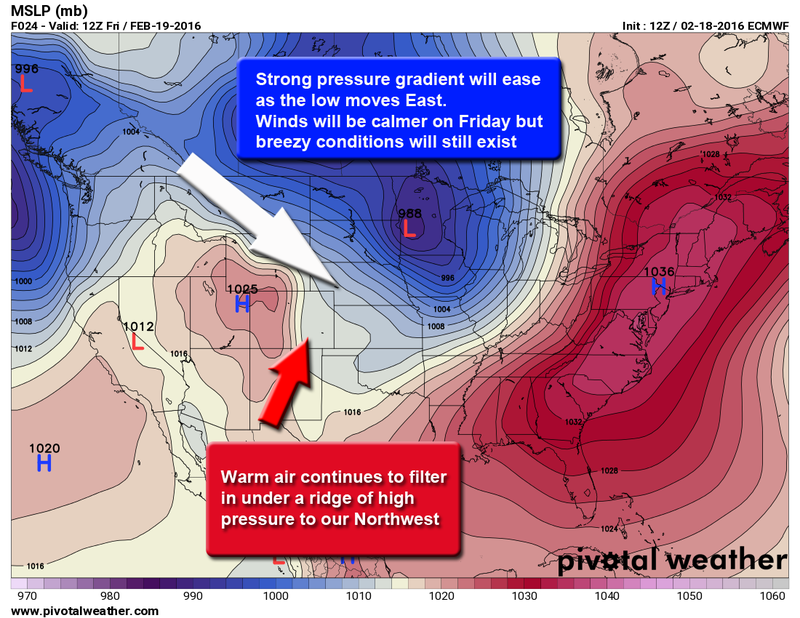 Again, the National Weather Service has some great graphics that explain a couple of the setups we have seen this week. 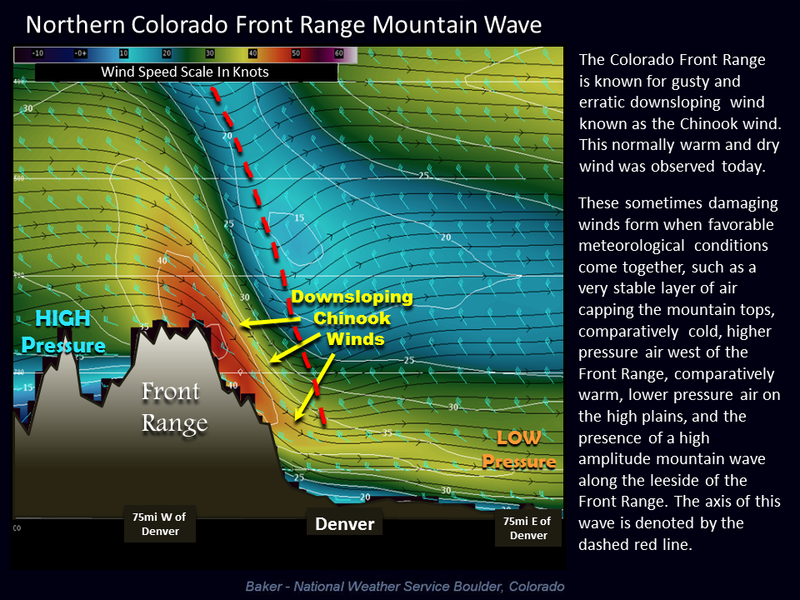 As long as these patterns continue, we will continue to see a wave or wave clouds parked over the front range. This means continue to look for those great sunrises and sunsets, but also continue to look for very warm days and very windy conditions. 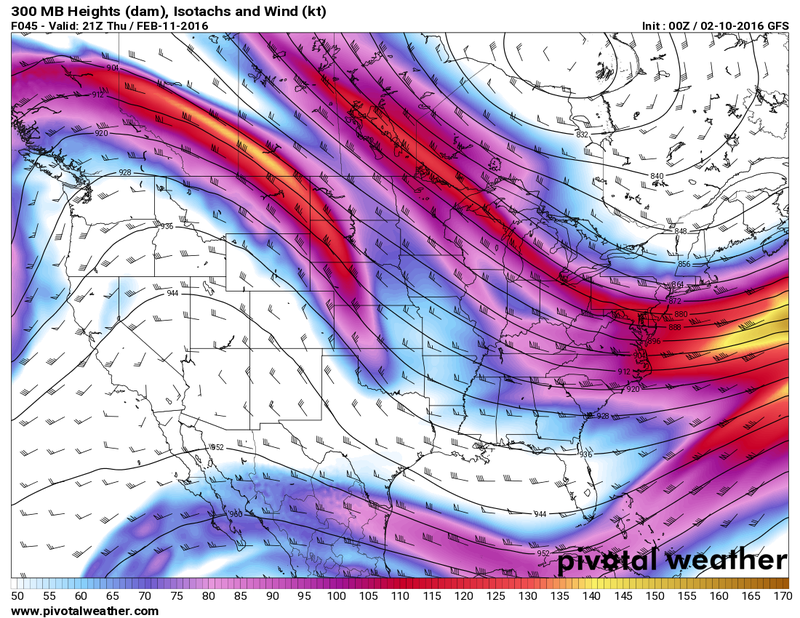 The above model is a look at the upper level wind pattern across the United States from today till about March 6. You’ll notice the large ridge to our West and the jet stream overhead, this will ensure our warm and windy weather for a long period of time. The models for lower and mid level winds show a very similar setup for this period so I feel pretty confident in saying that our chances for any types of large snowstorms are pretty low the rest of February. Even when the ridge breaks down next week, our winds remain westerly which would mean better chances of snow in the mountains but not much for anything East of the divide. Not to say we won’t get any storms at all, but the chances are quite low. The model shows a couple of disturbances that may provide a bit of spotty rain or snow activity here and there. One note; the last few days of the model we begin to see some troughs establish in the jet stream signaling a possible weather pattern change. Being at the far end of the model view, it is way too early to take this to the bank but if it materializes, it could be the pattern change we would look for to see possible blizzard type storms in March. This will need some close watching as if it holds and strengthens into March we could be looking at much more energy entering the state. The rest of February looks very warm and dry, expect above average temperatures and higher winds. Areas East of the divide will most likely not see snow until sometime in March. Colorado’s front range started the month of February with a large snowstorm that deposited a foot of snow or more for many areas. I’ve heard a lot of discussion about when we can expect our next snowstorm as many are eager to plan their next snow day. February tends to be one of our drier winter months, we often see warm days and little snow during February so it was somewhat unusual to see such high snow amounts in one storm for the month. This is why it’s important to keep in mind throughout this dicussion that just one storm in the entire month can bump February into an over average precipitation situation. 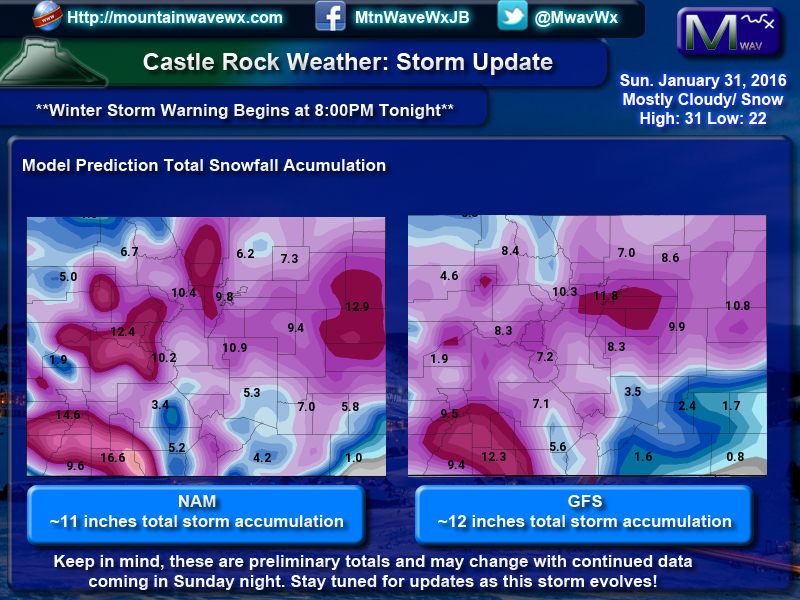 The average snowfall for February in the Castle Rock area for example, is 7.2 inches. I’ve been analyzing outlooks, models and statistics and now have a decent picture of what we can expect in Colorado for the rest of this month. Wetter Than Average but Any More Snowstorms? A quick look at the CPC February temperature outlook to the left shows the probability of temperatures being above or below average. The redder colors signify a higher chance of above average temperatures to finish the month whereas the blues snow a higher chance of below average temperatures. 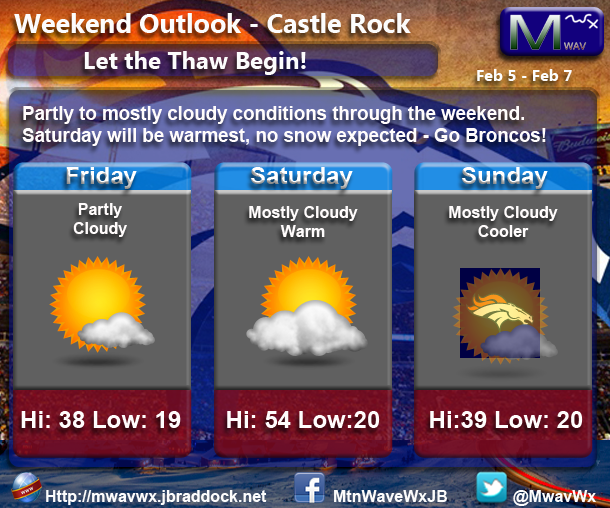 The daily mean temperature for the Castle Rock area is 33.0 degrees and as of this post we are sitting at 21.9. Granted it is still quite early in the month and we are expecting some very warm days in the weeks ahead, this could change. As of right now the CPC outlook is right on target with below average temperatures. When we look at the precipitation outlooks it shows a pretty decent chance of above average precipitation for the month. This is pretty much verified at this point since our early month snowstorm dropped more than a foot across the front range of Colorado. 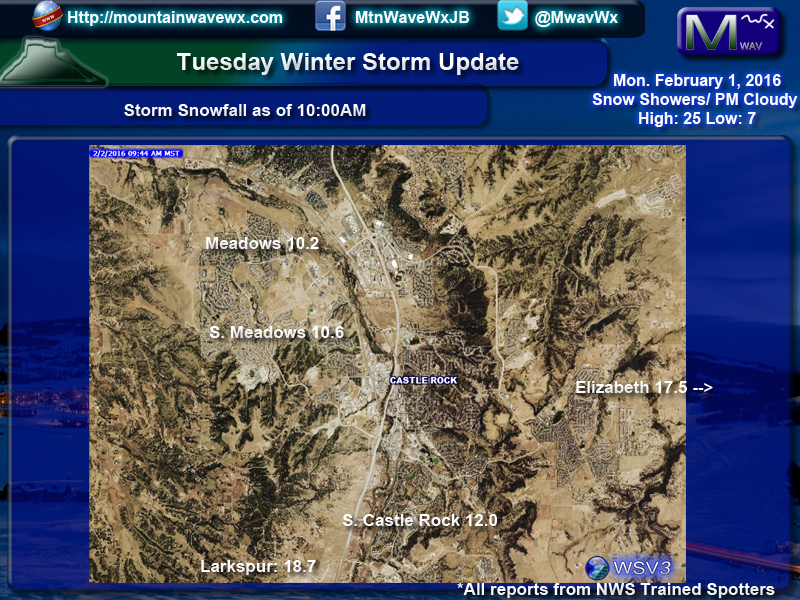 In addition, the mountains have received large amounts of snow continuously throughout late January and into February. Since we are already at above average precipitation for the month,we can consider this outlook spot on. Now that we’ve looked at the month as a whole and found that things are pretty much going to plan, now we can start digging down into some deeper details about the next few weeks. The CPC outlook for the next week or so essentially paints a bulls-eye for warm temperatures over the Western U.S.
As with many meteorology cases, it is always worth verifying this information. This is essentially a forecast so should this verify, we should see signals in the atmosphere to support it. What we would expect to see in the atmosphere with a period of drier and warmer weather is some sort of ridge building into the Western part of the country. A look at the GFS model shows a pretty convincing signal. 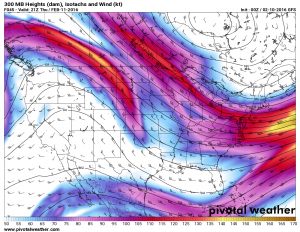 The upper level jet stream (winds at about 30,000 feet above sea level) show a very large and pronounced ridge across the Western U.S. In fact, this feature stays with us for quite a while and that’s why you will see a very similar outlook from the CPC for the next period which is 8-14 days out. 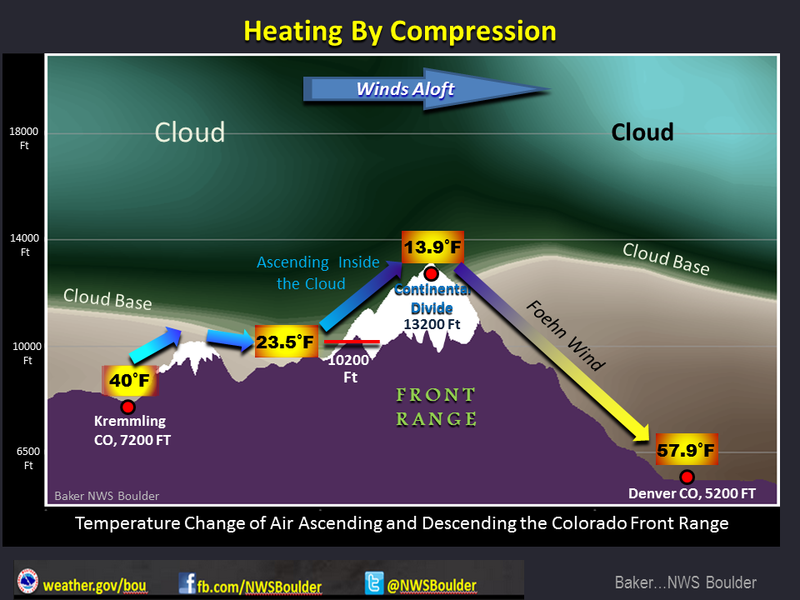 A high pressure ridge over the state allows warm air to migrate North but also keeps storms away from Colorado. Not much more to explain here, we see a very similar outlook. 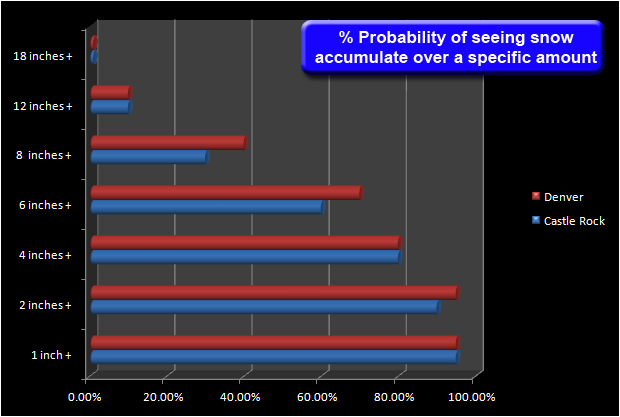 A much higher probability of above average temperatures with an equal chance of above or below average precipitation. All indications are at this point that the next 14 days will feature below average precipitation as that ridge is projected to continue over the Western U.S. The first week of the month started off quite cool, so as of this write-up, our mean temperature is well below average. Given the next 2 weeks of much above average temperatures, I can see the mean rising very quickly. I expect temperature to finish above average slightly or very close to average depending on how the last week of the month acts. This should shine a light on the next 14 days and I think it will be pretty accurate. A look at temperatures for the next 2 weeks shows consistent daily highs in the 50’s and 60’s as far out as I can see. Our nighttime temperatures will be much warmer as well, projected to be in the upper 20’s and even lower 30’s in some cases. I will be digging through more data in the coming days and should have a spring preview up this week that will highlight what to expect in February through April 2016. It should be a nice sneak preview of spring, stay tuned! 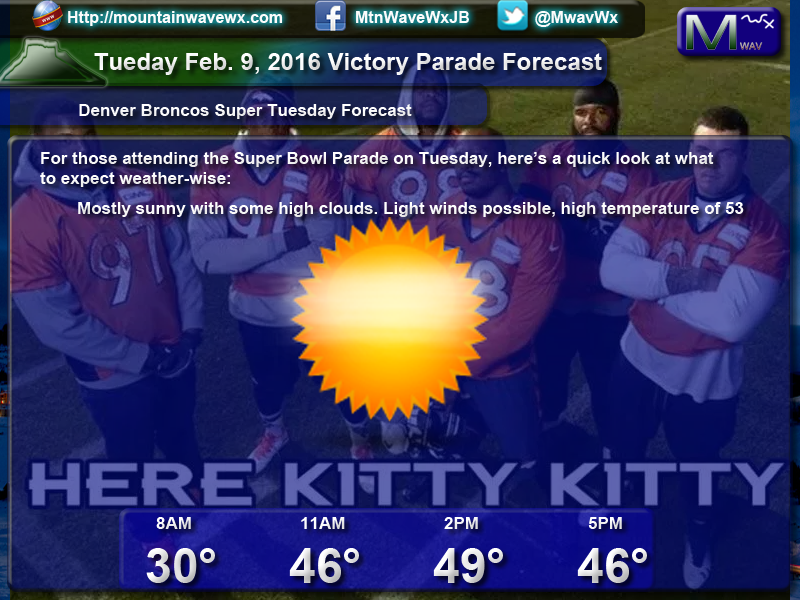 Morning sunny skies will give way to partly cloudy conditions in the afternoon. 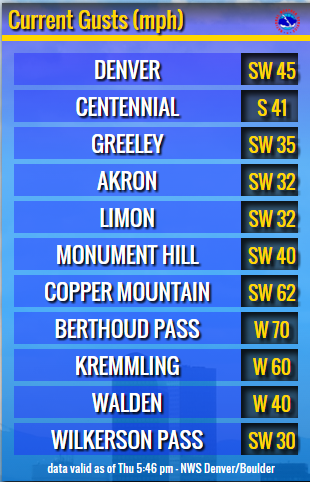 Some areas may be a bit breezy throughout the day, especially near the foothills. Temperatures will top out in the upper 30’s with night time temperatures in the upper teens to low 20’s. 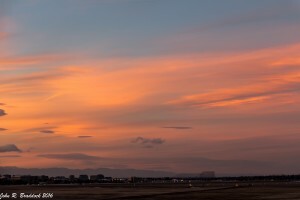 Mostly cloudy to partly cloudy skies throughout the day. Temperatures will be much warmer with highs in the low to mid 50’s during the day and night time temps into the lower 20’s. Down-slope winds from the Southwest and West throughout the day will aid in the warm up, despite the snow on the ground, some areas may see breezy conditions. 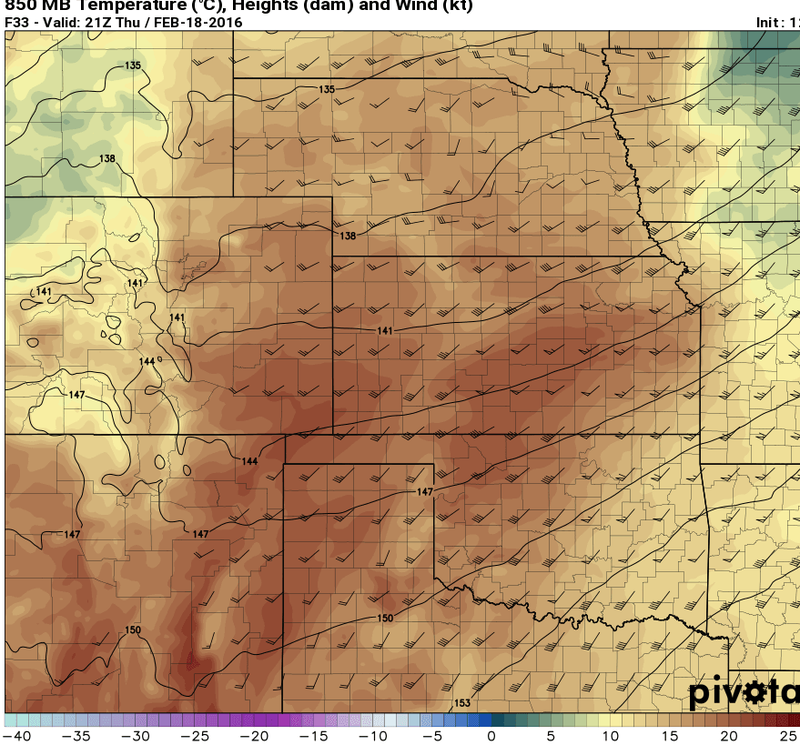 Winds will shift to the East meaning our warm up will pause for a day or two. Expect cloudy to mostly cloudy conditions, winds should be light overall. Temperatures will reach the low 30’s during the day and upper teens to low 20’s overnight. Colorado’s winter storm has performed as expected going into Monday night and Tuesday though, as you can see from the radar loop above, the main energy of this storm has left Colorado. This will bring heavy snow and blizzard conditions to many areas in the midwest throughout the day. We still expect to see some light to moderate snowfall along the front range of Colorado as left over moisture and lift continue to combine today, so expect a bit more snow this morning. A look at the snowfall totals from this morning shows a bias towards East of town and South of town for higher snowfall. Areas in and around town generally seem to be between 10-12 inches. These numbers are from the NWS and are from trained spotters so they have been verified for accuracy and measured through a stricter protocol. The main issue with measurements today is the blowing and drifting snow, it makes some areas collect more snow than others so we have to account for this. Expect light to moderate snow to remain throughout the morning with gradual clearing this afternoon. We should see cloudy to party cloudy conditions into the late afternoon and overnight hours. This will make for very cold evening so bundle up! The Winter Storm’s center has finally made its move over the Southeast corner of Colorado and has shifted the winds and moisture to be more favorable for snowfall along the front range. This will probably be my last forecast post on this storm so let’s take a look at where we stand. You’ll notice, no GFS! Mainly because these shorter range models are much more accurate (although the GFS is accurate at this point as well) I generally like the NAM4K and HRRR at this point as they are much higher resolution and can pick up finer details better. These images show what you can expect on top of what you already have this evening, so if you already have 3 or 4, expect another 3 or 4 more tonight. Tuesday morning should end up with around 5-10 inches for Denver, I expect higher totals South of Denver so Castle Rock should finish in the 6-12 inch range. The one wild-card here is the East/West gradient, I’d suspect areas immediately East of the town of Castle Rock could possible see more. 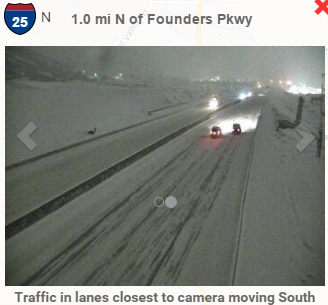 I-25 is looking pretty rough at the moment, the roads will be pretty dicey with the combination of wind and snow throughout the night. Plan on allowing a ton of extra time if you have to travel in the morning. School delays and closings are a possibility to so tune to local media for that information, or our friends at CRCO usually have that information as well. One last thing I’ll mention is that some radar loops show this storm slowing down. If this occurs and the storm stalls, we could see additional snowfall into Tuesday late morning. This would increase overall storm totals, not ready to call anything on that yet as most models don’t see this as a significant change. Should this happen, I’ll have one more update early tomorrow. This should be my last forecast post on this storm, I usually try to follow up with a couple of recap posts after the storm has passed. I hope you all enjoyed my coverage and thank you to everyone who joined me to follow this storm! The answer is no, it is just not here yet. Sunday night into Monday’s snow featured initial bands of snow that pushed into the area ahead of the storm, it was never going to be the main focus. 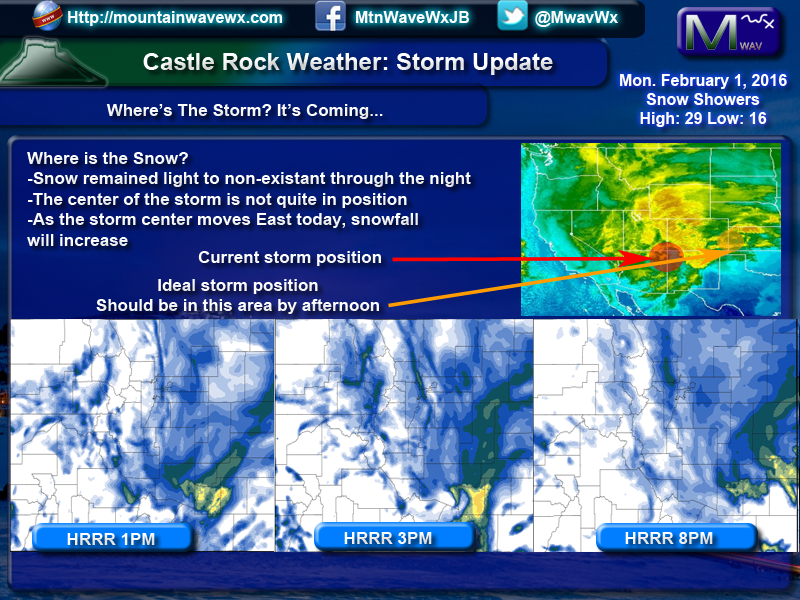 You can see from the graphic below the storm position as of this morning versus where it will be this afternoon. The position it is in this morning is not favorable for snow along the front range of Colorado so we are waiting for it to move Eastward. Once it makes it East of the divide and into Southeastern Colorado we should begin to see more and heavier bands of snow push into the area. This could start as early as this afternoon, so be aware about that with the evening commute. The bottom row in the graphic shows the HRRR at various times this afternoon, you can see that it is predicting some heavier snow between the 1-8pm hours, so as of right now this storm is mostly on track to bring good snow to the area this afternoon and tonight. We had a quick look at the models this morning and they remained mostly on target as to where they were late last night. Snow totals have decreased overall mainly because of an increase in the speed of the storm. If there is nothing out East to block it or slow it down, it moves through Colorado very quickly. 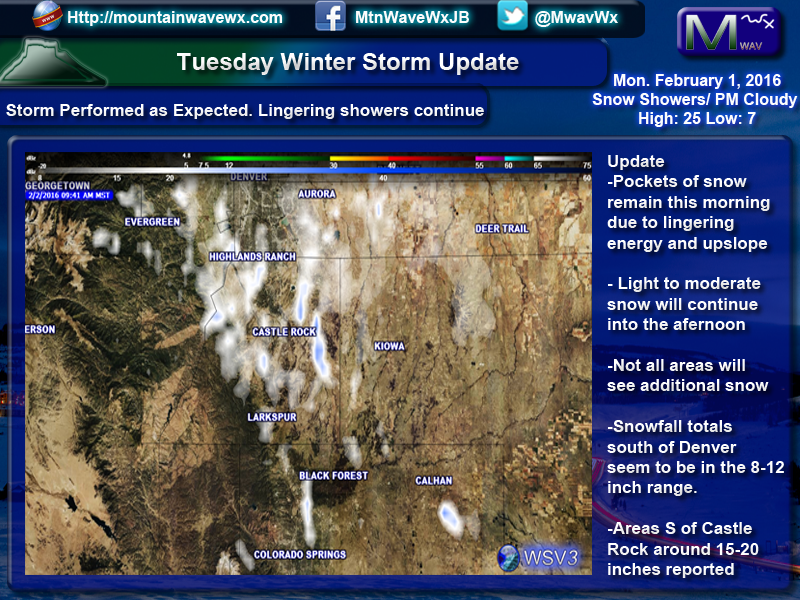 The quicker the storm moves through, the less time it has to drop significant snow over Colorado. The models still snow significant snow by Tuesday morning. 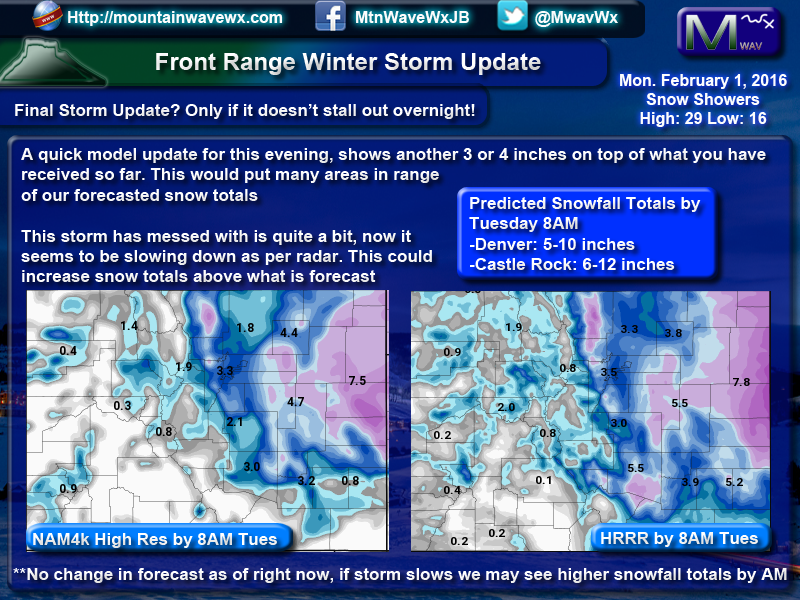 Due to the elevation Denver may see slightly less, probably in the 5-10 inch range. 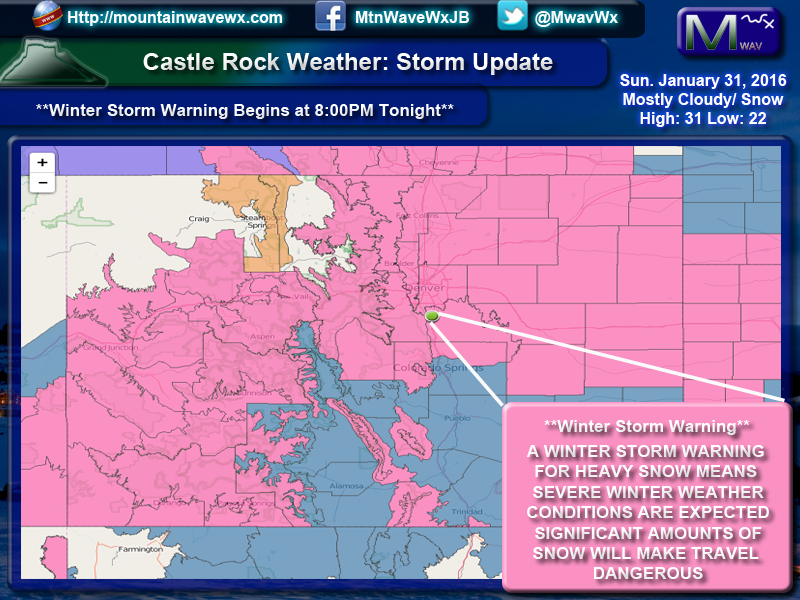 Castle Rock and areas along the Palmer Divide will see 6-12 inches with possible higher amounts East of Castle Rock towards Limon. 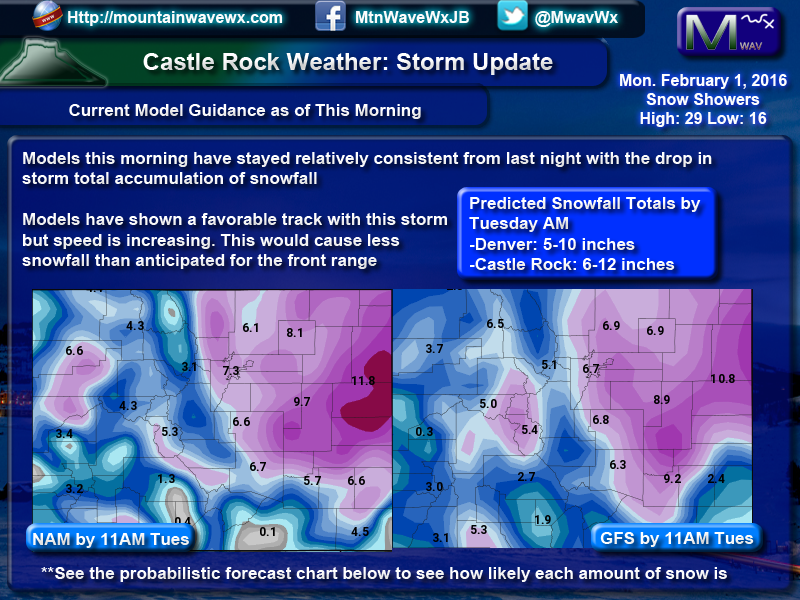 The 6-12 inch range looks likely for the Castle Rock area, but as you can see from the probabilities below, the lower amount of this range is most likely. A total accumulation over 4 inches is likely, over 6 inches is even decently likely but you can see as you try to accumulate over the 8 inch range your probability is only about 40%. This doesn’t mean it won’t happen, it just means it is less likely to see over 8 inches of snow. Accumulation over a foot is very unlikely based on this data. Keep in mind if this all verifies (likely it will) tonight’s commute home may be a rough one! Stay tuned and we’ll have further updates if any of this changes by this afternoon. The National Weather Service in Denver has pulled the trigger and upgraded our Winter Storm Watch to a Winter Storm Warning. They have also adjusted the start time from midnight to 8:00pm Sunday. A Winter Storm Warning means that a winter storm containing heavy snowfall will make travel conditions dangerous. They specifically mention the Monday morning timeline, Monday during the day, overnight Monday and into Tuesday morning. *Don’t let the low totals fool you on Monday AM, roads may get quite bad very quickly! Model guidance as of this afternoon continues to hone in on this storm. They are still not completely in agreement with some significant out-liers either way but two of the ones I tend to trust more in this time frame are pretty close together in agreement. Snow will begin Sunday evening and become a bit heavier overnight into Monday morning. Don’t expect a huge amount of snow Monday morning for the commute but do expect icy roads, stronger winds and tough travel conditions. If you make the trek into work on Monday morning, please keep in mind conditions are expected to deteriorate throughout the day. The Monday evening commute could be one heck of a mess. 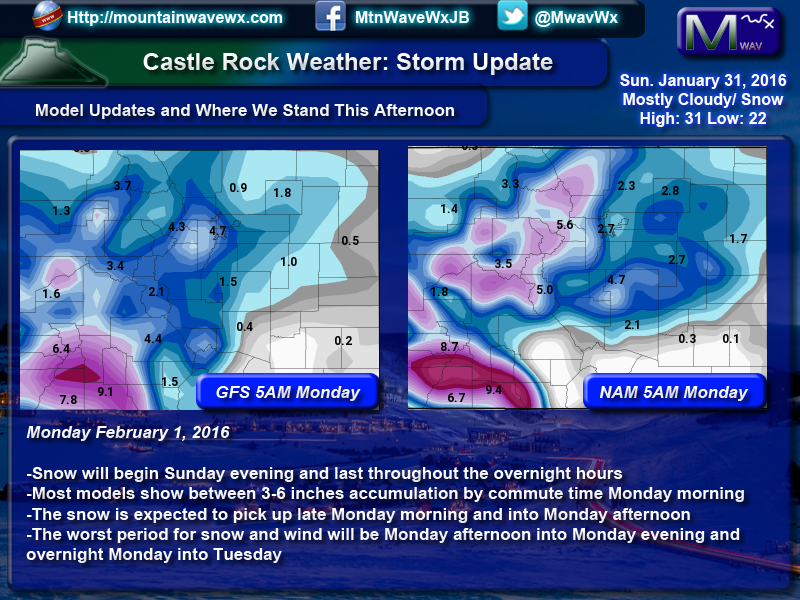 Snowfall is expected to continue through the day Monday and will become heavier later in the day into the evening. The Monday evening commute could be a very messy one if this verifies. Snow will continue overnight Monday and into Tuesday morning. The combination of cold temperatures, continued snowfall and strong winds could make travel dangerous through this period. First we look at the projected snowfall totals through Monday morning. Most agree on the 3-6 inch range by morning, this along with strong winds could make the roads icy very quickly. I cannot stress this enough but, these are preliminary model runs and I expect these totals to change going into Sunday night. I will have updates as necessary. 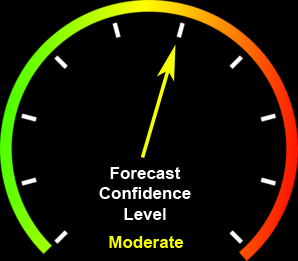 The forecast confidence right now is moderate. This mainly because there is still uncertainty between models on the overall positioning of this storm. Any wobble going into this evening could mean much higher or lower snow totals. Stick with us as we will have updates this evening with any changes with this storm; higher or lower.